I use Mary Maxim’s sparkle yarn in winter gold. I love the sparkly look. I used a pattern, but I modified the pattern some. 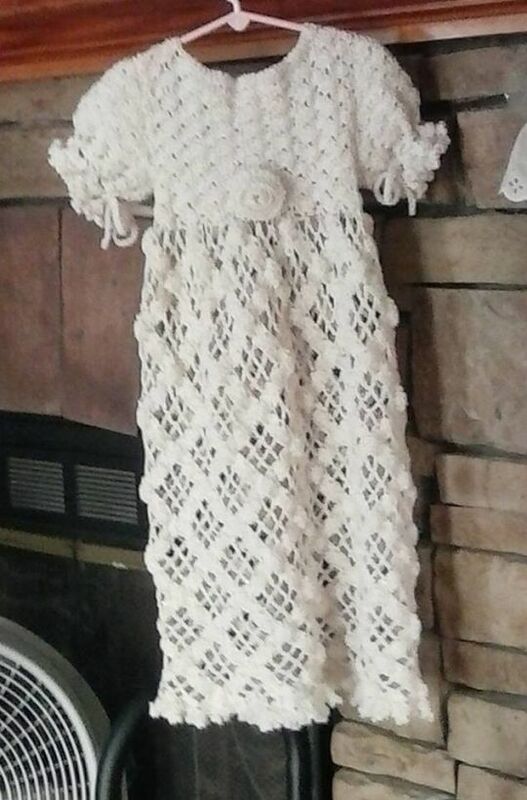 I intend to make several more baptism dresses. This particular yarn is very soft, (much softer than I expected). I am pleased with the result of this one.